While the Rogue is not without flaws—most notably a weak and noisy drivetrain and some less-than favorable safety ratings—Nissan hits most of the important targets necessary in a competent crossover. The Rogue swims in a sea full of crossovers and still manages to distinguish itself on a few key points. That’s no small feat in what’s become one of the top three segments in the American automotive industry. Perhaps then it's no surprise that the Rogue is the second-best-selling Nissan after the indomitable Altima. After a full redesign for 2014, the Rogue has emerged as a mature, elegant version of itself with more graceful headlights and grille, resulting in a level of polish that was previously absent. The most unique aspect of Nissan's Rogue is its optional third-row seating, a feature absent from competitors excepting the Outlander from Mitsubishi, a car company I often find myself forgetting still exists. Really suitable only for children or short jaunts with medium-size adults, the third row can be added to base S or SV trims, while the top-tier SL is available only as a 5-seater. Also of note is the “Around View” camera system, which utilizes 4 cameras mounted front, rear and on the mirrors to provide a simulated 360-degree fish-eye view of your surroundings when in reverse. It removes any guesswork from parking and other close-quarters maneuvering, and happily it’s an available option for the mid-level SV trim. At the base level, you’ll be looking at an MSRP of $22,790 and a not-inconsequential list of features and options. Standards at this level include keyless entry and LED running lights, a tilt & telescoping steering wheel, 5-inch display with rear-view camera and a USB interface with auxiliary audio input. At $24,490, the SV adds alloy wheels, roof rails, keyless entry, a 6-way power driver’s seat, dual-zone automatic climate controls and NissanConnect for smartphone app integration. This test put me in an all-wheel-drive (AWD) version of the SL trim with 18-inch alloy wheels, foglights, heated leather seats and heated mirrors, voice control, a power liftgate and the upgraded 7-inch touchscreen with the aforementioned Around View and navigation system. The SL also comes with an 8-speaker Bose stereo with 6-CD changer. For all these goodies you’ll be looking at an MSRP of $29,630, but this version came with the optional Premium Package that adds a power panoramic sunroof, LED headlights with auto-leveling, and the full suite of added safety features such as blind-spot, lane-departure and forward-collision warning systems. Additionally, this package adds moving object detection—a system that’ll warn you of children, errant balls or pets coming close to your Rogue while parking or backing out of your driveway. The Premium Package adds $1,990 to the cost and with an $860 destination charge, the total cost was $32,480. As a seeming contrast to the versatility of the Rogue’s 5- or 7-seat layout options, the drivetrain offers no such flexibility. With a single engine/transmission combination and the choice of front- or all-wheel-drive configuration, it’s very much a “take it or leave it” situation. Sadly, this single setup isn’t wholly up to the job. Whereas the interior materials exude the air of a more-expensive segment, the 170-hp 4-cylinder engine and continuously variable transmission here feel as though they belong in an economy car. Underpowered and noisy, ask nearly anything of the Rogue’s 2.5-liter engine and you’ll be greeted by a coarse thrum filling the cabin, accompanied by a slight but unpleasant vibration. Nissan claims that 175 lb-ft of torque put the Rogue at the top of its class, but comparisons show that it beats competitors by only a few points. It’s not that the Rogue is painfully slow—in fact its near 9-second 0-60 time is about average for the class—but getting that action out of the little 4-cylinder requires things get a little rough inside the cabin as the engine screams and the CVT thrums away. Add a full boat of passengers or some actual hauling, and any passing maneuver or hill climbing becomes a drama-filled affair. Speed and power aside, the AWD Rogue claims an impressive 25 mpg city/32 highway/28 combined. However, in my usual routes of suburban/freeway/city driving, I usually fell quite a bit closer to 20 mph on any given trip. Trip the new Sport Mode and things will get worse in a hurry, without much noticeable difference other than the drop in mileage. On the other hand, Eco mode does much the opposite, and on a 2-hour trip from Oakland to Santa Cruz, the Rogue averaged over 31 mph, albeit with most of that being highway travel. The fully independent suspension in the Rogue is slightly more inspired than that of most crossovers, but it won’t give you any delusions of grandeur. Rather it gets the job done confidently, undoubtedly helped by features such as stability, traction and Active Trace Control, an electronic torque-vectoring system that curbs understeer via inside-wheel braking. If the setup could be massaged slightly, it’s really only the steering that could use another look. There’s still a hint of disconnect at center, and the system weighs up quickly. A more gradual transition would be preferable. There are a lot of little features on the Rogue that make driving it a unique experience. From the Divide’N’Hide cargo system behind to the panoramic sunroof above, it seems Nissan wanted the Rogue to be just a little bit different. Whether or not you’ll appreciate these differences will be up to your particular needs and preferences, but at least Nissan is trying. Driving around California, my personal preference is a convertible. 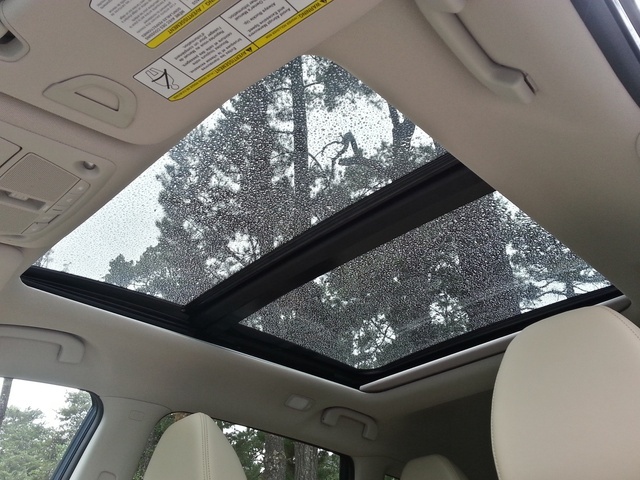 But since there seems to be a dearth of convertible SUVs of late, the panoramic sunroof in the Rogue is a nice alternative. As previous reviewers have mentioned, an entertainment system for back-seat media viewing would be a more logical choice in a family-centered vehicle, but the light the sunroof lets in certainly changes the feel of the interior. Unfortunately the buttons controlling the operation too easily jump straight to “full open,” rather than just opening the cover, but otherwise it was a welcome addition. The Divide’N’Hide cargo system offers a modular storage area with dividers and recessed areas for what Nissan claims are 18 configurations. In about 10 minutes of fiddling I could come up with only a handful of different setups, but they certainly offered some usable options for different cargo in the 40 cubic feet of room it offers with seats upright. Small trip to the grocery store? The Rogue has a perfect spot for 3 or 4 bags, keeping them from sliding all over your back seat. Sports duffel full of heavy equipment? Raise a divider to keep it from slamming around the rear during braking or cornering. And the rear seats fold nearly flat for easy loading of bigger items in 70 cubic feet of space. The seats are a special treat, both in comfort and position. Even at 6 foot 4, I had no trouble finding the perfect spot with no lack of head- or legroom. Soft leather covered both seats and steering wheel in this SL trim, but S and SV trims get cloth. Nissan claims the Zero Gravity seats are “NASA-inspired.” I don’t really know what that means, but they felt living-room comfortable and still managed to stay supportive even after hours of driving. Well done, Nissan. Little touches matter, too. 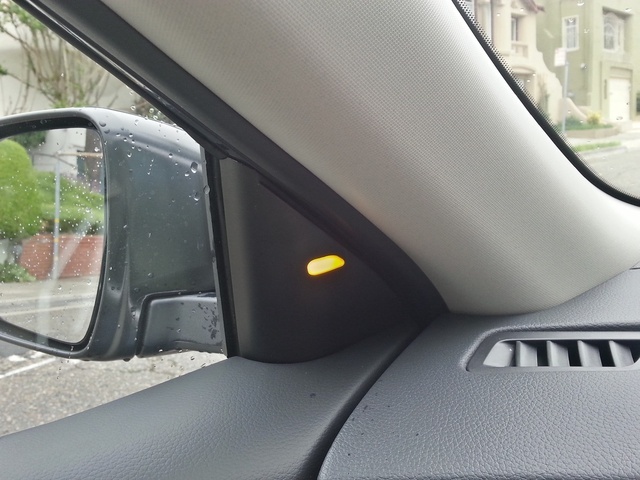 The blind-spot monitoring system’s light is located just behind the A pillar, on the inside of the cabin rather than on the mirror. It’s always been my preferred location, and it works perfectly here. And the headliner material, which also covers the A pillar, is a really nice textured textile. Not sure how it’ll wear over time, but on delivery it looked really classy, and that’s a detail that’s too often overlooked. But not everything is skittles and beer here. The fog lights look like an afterthought rather than an integrated piece of design, and I’m still not sure if the big front end of the Rogue makes it look teasingly aggressive or blatantly out of proportion. It's two years into a redesign, and I feel like I should have a stronger opinion on this by now. Or maybe good design should keep you guessing. While the SL trim that Nissan delivered carried all the tech goodies offered, even base-level S trim Rogues are well-appointed with LED running lights and signals, a 5-inch display with reversing camera, Bluetooth and an auxiliary audio input. Grab an SV and you’ll get added features like auto headlights, keyless entry and ignition, dual-zone automatic climate control, a 6-way power driver’s seat and NissanConnect smartphone integration. Normally I’d say this was more than enough, but the SL really does add some fun features, and I’d be lying if I said I wouldn’t miss them. The foglights may look tacky, but they work well enough, and you never notice how useful heated mirrors are until you’re driving through mist and fog and suddenly can’t see behind you. Heated front seats are wasted in California winters, but they’re about the only thing that could make the ride more comfortable in snow-stricken areas. I’ve never been a fan of voice controls, as they never seem to work well enough to be useful, but the 7-inch touchscreen display and the accompanying 360-degree camera system do make parking as easy as can be. Finally, a Bose audio system managed to keep music nice and clear even at higher speeds and louder volumes—enough that I could hold an intelligible conversation without having to turn down the volume to useless levels. With the Premium Package, this SL also got the panoramic sunroof, LED headlights with auto-leveling and the full suite of safety tech, including blind-spot/lane-departure/forward-collision warnings as well as the previously mentioned moving-object detection. Many times I find these systems can act a little too quickly, warning long before it’s really necessary and threatening a “boy who cried wolf” situation. Here, Nissan seemed to have a perfect blend of lackadaisical concern that kept me on the straight and narrow without annoying me every step of the way. I wish I had better things to say about the Rogue with regard to safety, but there are some serious concerns here. While an overall 4-star rating from the National Highway Traffic Safety Administration (NHTSA) isn’t something to scoff at, digging deeper into the tests reveals some concern-worthy ratings. Side crashes received 5 stars in all tests, and rollover crashes earned 4 stars, but it’s frontal crashes that really worry, with a 3-star rating for the driver and a 2-star rating for the passenger, and that’s enough to warrant looking elsewhere. With luck Nissan will address this immediately, as the Rogue has much going for it elsewhere in the safety department. A 124-foot stop from 60 mph is nothing too impressive (merely average for the segment) but with standard safety features like stability and traction control, 4-wheel discs, the rear-view camera and hill-start assist, there’s a lot of safety for just a little money. Opt for AWD and you’ll also get hill-descent control. Airbags are nothing special, with dual front, front-side and curtain-sides, but that’s only because we live in a car culture that seems determined to cram an airbag into a new location with every fresh model year. If you’re looking for more, add the Premium Package to your SV or SL Rogue and you’ll get the full suite of warnings, including blind-spot, lane-departure, forward-collision and moving-object detection. If you’re choosing the SL, you’ll also get the auto-leveling LED headlights, but you’ll also be well over $30K with those options checked. The Rogue offers a lot, even at its base level. Having driven the Rogue and the RAV4 in back-to-back weeks, I find myself preferring the Rogue in nearly every category. In fact, I had to double-check to make sure that both trims I was delivered stickered for the same price. The Rogue just felt more upscale, from its gorgeous Arctic Blue Metallic paint to those unbelievably comfortable seats to the panoramic sunroof. But as much as I enjoyed all these little aspects of the Rogue, there are still those two big issues that simply won’t leave my mind when deciding whether or not I’d buy one—the annoyingly noisy drivetrain and those scary safety ratings. The drivetrain simply cannot be forgiven. Despite the marketing, CVT is not a new technology, and the volume and vibration experienced here would wear quickly. More important than that, 3- and 2-star ratings in frontal crashes are huge compromises to make, and I’m not sure any sort of deal would make that shortcoming worthwhile. 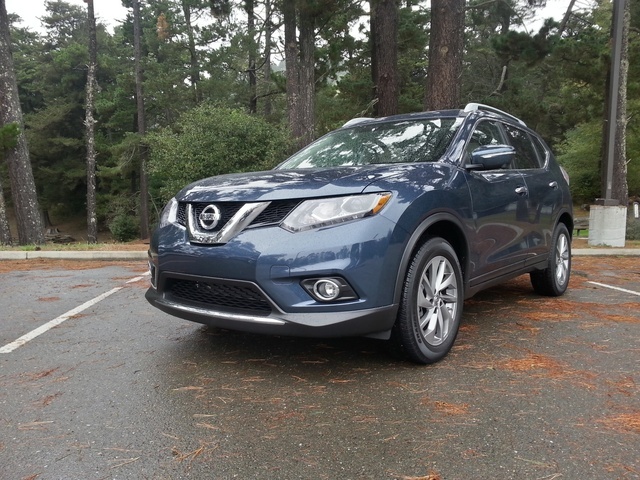 What's your take on the 2015 Nissan Rogue? cars3arch3r Hey.... Maybe they updated the rating - I currently see a 4 star rating for the driver and a three star rating for the passenger. 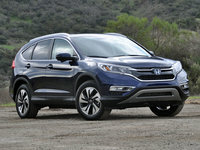 (http://www.safercar.gov/Vehicle+Shoppers/5-Star+Safety+Ratings/2011-Newer+Vehicles/Vehicle-Detail?vehicleId=9331) from your point of view: does that change the overall rating? Pennell42 Have had my 2015 Rogue SL (cayenne red with tan leather) a month now. 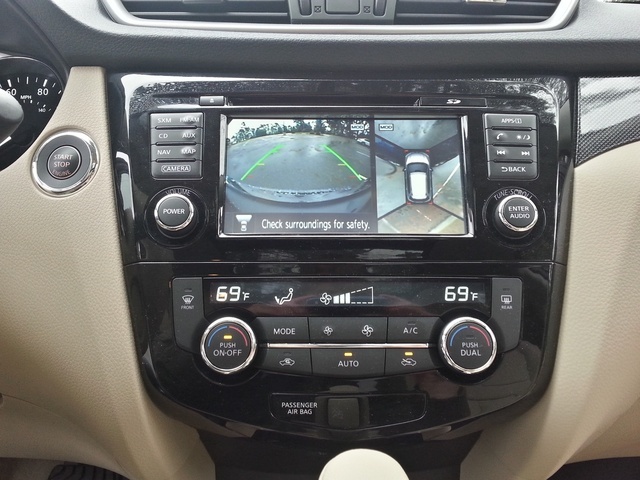 We also own a 2014 Murano SL (Graphite Blue with tan leather) and love the CVT transmissions. We don't put on a lot miles but the plan is to drive the 4 cylinder Rogue around town and the 6 cylinder Murano on lengthy road trips. The plan is working well. Currently getting 25.8 mpg with the Rogue set in the ECO mode. 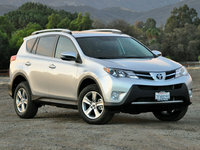 The Murano easily gives us 27.5 on the road. We don't drive hard or fast. These vehicles are neither one designed for that and it isn't the way we roll. The Rogue is certainly near luxury on the inside. I will say it has a bit more road noise than I expected unless the road is quite smooth or newly paved. However, the overall interior ambience and materials make it more than tolerable and the Bose sound system is excellent. These are the first Nissans we've owned and are very pleased. 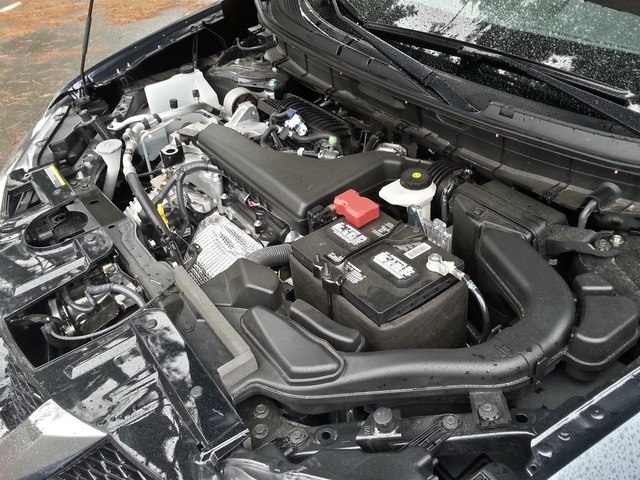 JungleGeorge The low engine speed (1200 to 1500 RPM)/drivetrain vibration is definitely a nuisance on 2015 FWD Rogue. Quite an irritant. whsrocknroll Love everything about my 2015 Rogue SL with one exception. I have never been able to get the FCW to do it's job. I have even closely followed other cars on the beltway to see what would happen and nothing ever did. No chime, no light, no anything. Maybe if I was willing to plunge headlong into the trunk of a car in front of me, I may hear a chime, but since I'm unwilling to do that, I guess I will never know what a FCW even means..
Osvaldo I'm surprised of all this reviews about noise and vibration. I bought my 2015 Rogue SL Premium after ending a lease for a 2013 VW Passat 2.5 Premium, which is an very quiet and vibration free car.I feel the Rogue nearly as quiet as the Passat, yes under hard acceleration and some roads there is a little more noise than the VW,but not that much. And so far there is no vibration from the engine at idle or speed. Maybe you need have yours check by the dealer. Nate5544 The drive train vibration is pretty much annoying when driving at constant speed. Have two hundred miles on the car. Love everything but the vibration and impaired front view by the pillars. Also came with a defective rear door. Joe Don't know if the vibration is a problem in some and not others. Have it in mine(2014 AWD) in the 1200 -1700 RPM range(Low rumble and vibe in steering wheel) , little to no low RPM vibe in my sisters 2014 FWD. Is a little annoying. Love the vehicle otherwise. I use the Sport mode to cut down on the low RPM vibes. Deltafox I really do like my new Rouge, though when driving at 75mph on the interstate, the hood buffets/vibrates. Mine is a 2015. I read reports of the 2013/14 models being recalled due to hood latch issues. I am 62 years old and have never felt this uncomfortable driving any vehicle at top speeds, though this model has me a bit anxious when driving at high speeds. Can anyone add to this? Dave Forward collision warning does not chime with the radio playing. Or it is not tied into the integration of the sound system. Unlike my Ford Taurus which it blanks out everything including the Bluetooth when on the phone talking. Also there is no warning chime for getting near objects backing; only for moving objects it will chime and with radio/Bluetooth off. My wife had a front end collision when she look down to get something out of her pocketbook. When she looked up it was too late. She said no warning chime had signal her of the danger. Overall the car is good except for these safety features. 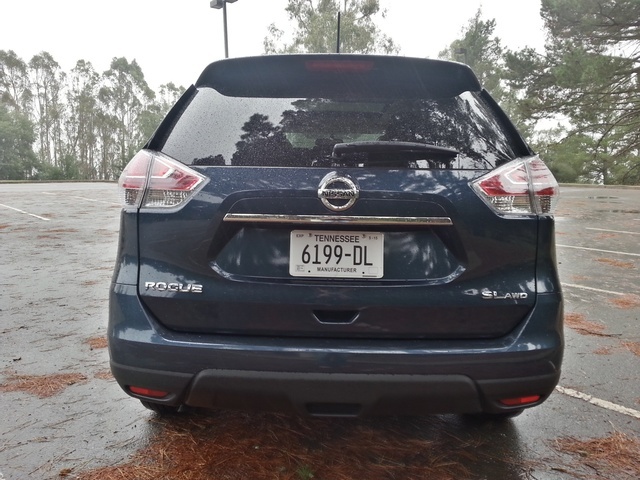 bdickerson1 I purchased a 2016 Nissan Rogue SV AWD three days ago. I felt an odd steering wheel vibration when between 20-30 miles per hour keeping a steady foot on the accelerator. I took it to the dealer today and was told they did not notice it. I was told to drive 2000 miles to break it in and bring it back if there were any issues. Now I am seeing many posts regarding this and feel cheated by Nissan. I could just overlook it but paid good money so want a good vehicle. Has anyone received a fix for the issue? Steve936574 Michael - I went to the NHTSA web site and looked up the crash test ratings. Contrary to your article, their web site shows a 4-star rating for the driver, and and 3-star rating for the passenger in frontal crash tests. 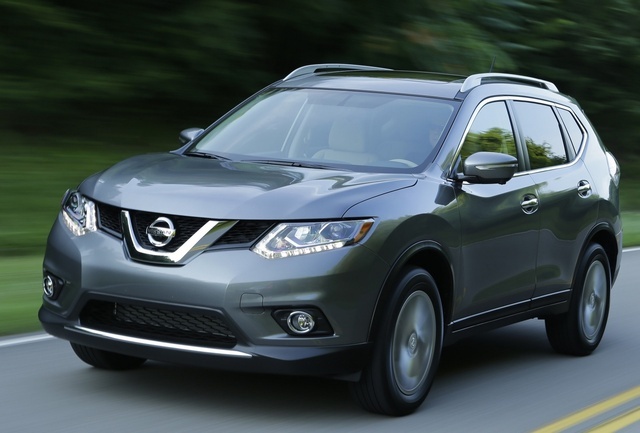 Users ranked 2015 Nissan Rogue against other cars which they drove/owned. Each ranking was based on 9 categories. Here is the summary of top rankings. 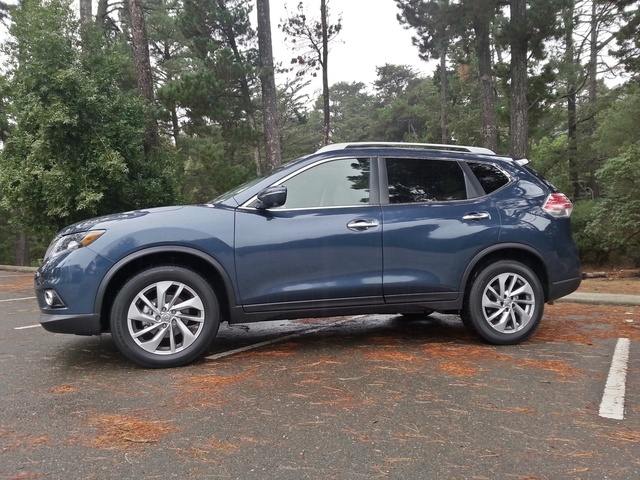 Have you driven a 2015 Nissan Rogue? Air Conditioning [problems In A 2015 Nissan Rogue? We have been forced to get a new compressor for the air conditioner in our 2015 Nissan Rogue. Has this been reported before?